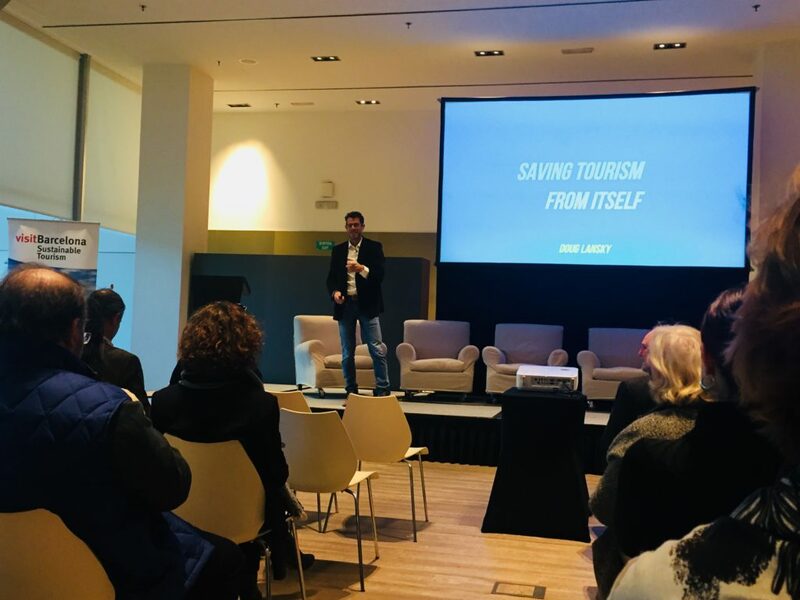 Barcelona – this week our social impact Startup Authenticitys was invited to join the sustainable tourism conference “Jornadas de Turisme Sostenible” in Barcelona. 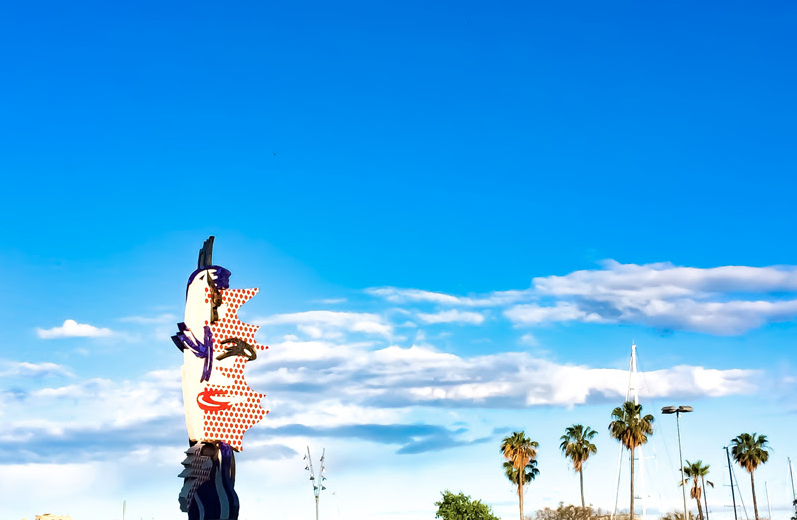 On Wednesday, 19th and Thursday, 20th of December, Barcelona Turisme organized a conference around the topic of sustainability, including different panels, speeches and discussions. The “Jornadas de Turisme Sostenible” is a congress that opens its doors to experts, entrepreneurs and interested people in the field to reflect together on different visions of sustainable tourism and to create a change to leave a positive impact in the cities we travel. On the first day, the sustainable tourism guru Doug Lansky talked about “Saving Tourism from Itself”. As Barcelona is the leading city in adressing the issues of overtourism and sustainablity, in his speech he clarified the different stages of overtourism and the misinterpretation of managing this certain problem. “Overtourism is unbalanced tourism”, he says. That means, that the problem is not the travelling masses that come into a city. The problem is rather the unbalanced tourism that a city has failled to manage. Thus, an effective solution of this issue would be the systematic spreading of tourists and the balancing of the offer in a city. Doug Lansky is a travel writer and is engaged in various fields to contributing to a sustainable tourism industry, especially in creating awareness about the ongoing issue of overtourism that many cities are struggeling with and to find effective solutions. He brings along a lot of experience in the tourism industry through his collaboration with big companies such as Google Travel, Amadeus or the National Geographic. Moreover, he is not only the author of 10 books, including 2 for Lonley Planet and 3 for Rough Guides, he is also a well-known speaker at the National Geographic Headquarters and the United Nations World’s Tourism Organization. In addition to Lanskys speech, other local experts like Mercedes Mora (director of Casa Vicens), Matteo Asensio (International Promotion Manager of Turisme de Barcelona), Julian Montero Ortega (Director of Business Development at Barcelona Zero Limits), Santiago Hernández Zayas (Director of Hotel Princess and Promotor of Barcelona Forum District) and Jordi Sala Serra (Human Resources Director at Hotel Arts Barcelona) joined a round table conference to discuss the different pillars of sustainability and the challenges and different opportunities that tourism means for different destinations. The first day of the Sustainable Tourism Conference in Barcelona provided already an extensive and productive program about the main steps to address in order to contribute to a sustainable tourism industry. Day 2 of the congress – on December the 20th – was dedicated to the 7th edition of “Business with Social Vale” (BWSV), at the “Palacio de Congresos de Catalunya”. The event aims to contribute to a social transformation of business companies, by promoting social and sustainable conducts, favouring the sustainable economy of the Centro especiales de empleo (Special Employment Center) and the Empresas de Inserción (Social Integration Enterprises). Experts on different fields like Pedro Olivares Carreño (OLIVARES Consulting), Maite Piera Torres (Human Capital Consulting Deloitte) and like the day before, Doug Lansky discussed about sustainability and about how to include the social factor in today’s business. Another main objective of the BWSV event was to create real business opportunities for the Special Employment Centers and the Social Integration Enterprises. With the face-to-face activities participants were able to get to now all the services of the Special Employment Centers and communicate directly with different companies and experts.